Blog Tour: This Song Will Save Your Life by Leila Sales | Interview + Giveaway! THIS SONG WILL SAVE YOUR LIFE by Leila Sales! Firstly, many many thanks to Macmillan for asking me to be a part of this tour! I first read THIS SONG WILL SAVE YOUR LIFE a little over a year ago and almost breezed through it in a day. It was so captivating and really spoke to me in many different ways so when I was asked if I wanted to be a part of this blog tour, I immediately said yes! One of the reasons I loved this book so much was because of the characters but also the importance that music played in their lives. There are many songs that have “saved me” over the years so I loved this concept for the book… AND Macmillan has turned this into a really great social media experience. You can share the songs that have helped you through hard times or mean the most to you with the hashtag #SongsThatSavedMe on social media and join the experience! This book also got a gorgeous cover redesign for its paperback release! (Check it out to the left there!) I’m in love with the colors, the design, and still impressed that each word in the title is four letters so the words line up just perfectly! It helps make a wonderful design, doesn’t it?! Now without further ado, I’m really excited to share with you my interview with the author of THIS SONG WILL SAVE YOUR LIFE, Leila Sales! Brittany: This Song Will Save Your Life follows the story of Elise who finds her true passion in life learning the art of DJing and I loved how original and refreshing a teenage DJ was. Was there any inspiration for such a unique hobby for Elise? Leila Sales: I love music—I always have—and I love going out dancing. Over my years of doing so, I’ve met many other people in the world of nightlife, including a number of DJs. It’s such an interesting culture with so many fascinating characters, and that made me want to set a story in this world. Brittany: Naturally, music plays an important role in the book — a literal life-saving role. Why do you think music reaches us on such a personal and emotional level? Leila: That’s a very complicated question, but I think the simple answer is that music—like fiction—makes us feel understood. Sometimes it seems like even your friends can’t understand your feelings or what you’re going through, but when you find an artist who gets it, then you no longer feel so alone, and your feelings are validated. Brittany: Macmillan shared the playlist for This Song Will Save Your Life (which I absolutely craved and loved while reading the book!) and it was just so perfect. Are there any songs or playlists that you listen to for inspiration or while you write? Leila: Thank you! I can’t think of few better compliments than somebody enjoying a playlist that I made. Generally when I’m writing I listen to “quiet” artists—the Clientele, Belle & Sebastian, the Acid House Kings, Camera Obscura—music that I love that’s not too distracting. But if I really need to tap into an intense well of adolescent emotion, then I go back to the soundtrack of my high school experience: Matchbox Twenty, Counting Crows, Lifehouse, Goo Goo Dolls, Third Eye Blind, etc. That should give you a down-to-the-year accurate picture of how old I am. Brittany:The romance of the book involves Elise and Char, a DJ that she makes a connection with and who helps her learn some important DJing skills. Do you think the lines became a bit blurred between Elise’s emotions for her new hobby and her emotions for Char? Leila: Sure. I think Char is an important catalyst. He helps Elise get to a better place in her life. But, you know, he has his own issues. Everyone does. Even cute slightly older guys with great taste in music. Brittany: Elise was just so relatable for me — from the way she felt to the decisions she made. What’s been your favorite reaction that readers have had to Elise’s story? Leila: I’ve been blown away by the positive responses I’ve gotten to this book. It means the world to me to hear from readers that meeting Elise makes them feel less alone, like they’ve finally found someone who understands them. That’s why we go into this job in the first place, you know. No one becomes an author to make millions of dollars—there are so many easier ways to get rich quick. We become authors to connect with readers, and to get real human experiences down on paper. Brittany: Your next book, Tonight the Streets Are Ours, comes out in September. Can you tell us a little about it? Leila: Tonight the Streets Are Ours is about a small-town girl who becomes obsessed with a blogger living in New York City. She’s never met him, but his writing makes her feel like he understands her more than anyone in her everyday life. So when his heart is broken, she sets out on a road trip to find him in person. A big, big thank you to Leila Sales for this wonderful interview! I always love getting more insight to an author’s process and more details behind the book after I’ve read it. If you haven’t picked up THIS SONG WILL SAVE YOUR LIFE yet, be sure to do that ASAP! 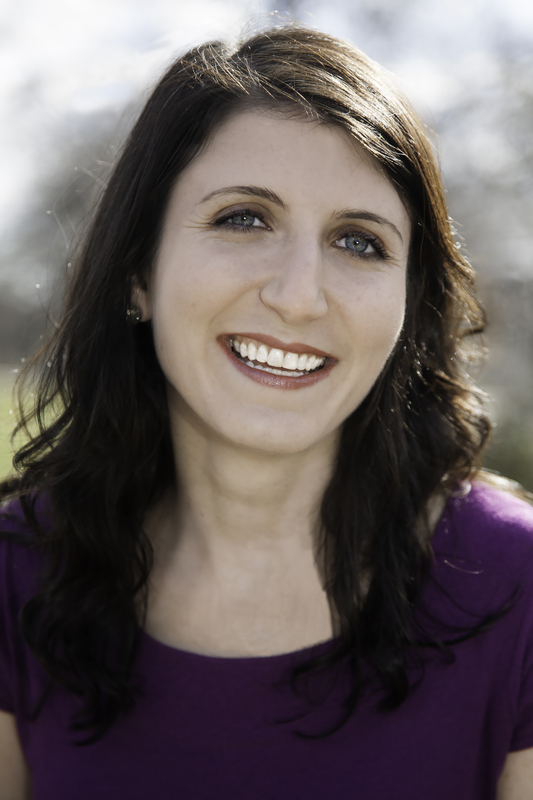 Want to learn more about Leila Sales and her books? We’ve got the hook-up below! // Add Tonight the Streets Are Ours to your to-read list on Goodreads. // Visit Leila’s website, like her on Facebook, and follow her on Twitter. And don’t miss the rest of the blog tour! Thanks to Macmillan, I have TWO giveaways for you today! One winner will receive an ARC of Leila’s new book TONIGHT THE STREETS ARE OURS! The second giveaway is for an amazing ‘SONGS THAT WILL SAVE YOUR LIFE’ mix CD! There will be ONE Rafflecopter to enter for both giveaways and TWO WINNERS will be selected. US/Canada entries only, please. Must be 13 years of age or older to win. This Song Will Save Your Life – Leila Sales Our Song Blog Tour: Interview with Jordanna Fraiberg Nantucket Blue Blog Tour Blog Tour: NIL Unlocked by Lynne Matson | Guest Post + Giveaway! 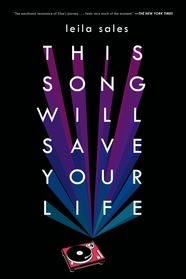 This entry was posted in Author Interview, Blog Event, Blog Tour, Books, Contemporary, YA and tagged Blog Tour, Books, Contemporary, Music, This Song Will Save Your Life, YA, Young Adult on April 13, 2015 by Brittany.